We live in a busy, often hectic world. On a good day, we handle our family and work responsibilities with ease; on a bad day our lives can feel overwhelming and make us anxious. 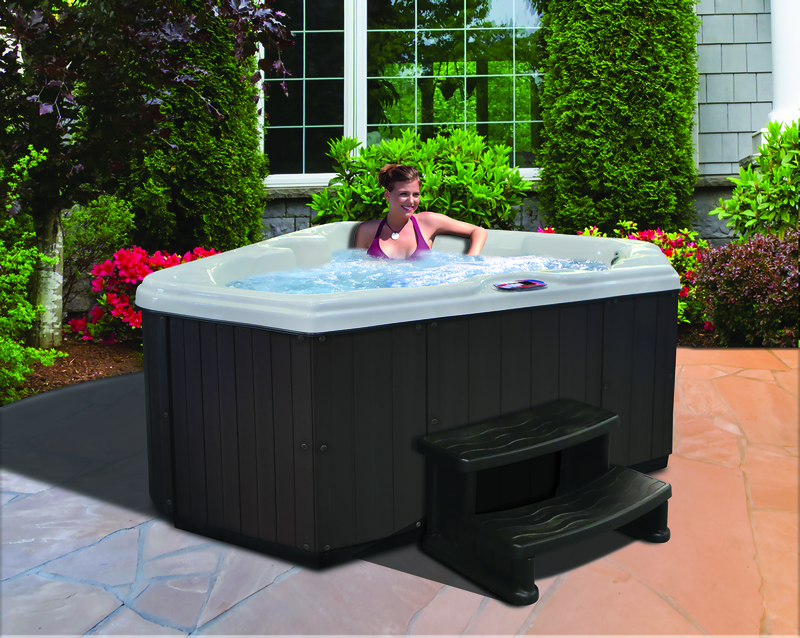 We don’t always know how to deal with anxiety, but if you own a hot tub, a calming soak can be a great way to start. Here are three ways an American Spa can help improve emotional wellness and reduce your anxiety. Stress can reduce our quality of life. Anxiety affects a wide range of people and is often associated with muscle tension. Often, it helps to just take a break, be alone in a quiet place away from the distractions of technology and the demands of work, family, and friends. With a home spa located just outside your back door or even inside your home, you can easily make the time you need to get away to your own private paradise. You can disconnect from emails, texts, and phone calls to meditate or just listen to the sounds of nature or your favorite soothing music. Being able to relax in the warm water of your spa when the mood strikes you can allow you to recharge and help improve your emotional wellness so that you can greet the world with a smile every day. When you don’t feel good physically, it can be a real challenge to feel good emotionally. Every career comes with its own set of body motions. If you have a laborer position, your hands, arms, shoulders, or backs may ache after a long day. A 15-minute soak in your spa doesn’t have those negative side effects. The warm water raises your body temperature, which helps dilate blood vessels and increase circulation, and helps relieve muscle pain. The massaging jets of a spa work out knots and kinks, while the buoyancy of the water takes the weight off your joints, allowing you total relaxation. Most important, your spa can become a healthy part of your daily routine. Hydrotherapy before work in the morning can help prepare your mind for a busy day; a hot tub soak a night can ready your body for sleep. Feeling better physically and mentally often starts with a good night’s sleep. If you toss and turn in bed or generally have trouble nodding off to sleep, turn to your spa for relief. A hot soak a couple of hours before bedtime can relax your muscles, calm your nerves, and separate the evening from the cares of the day. Plus, the heat of the spa water will slightly raise your body’s temperature, simulating natural rhythms and making you drowsy so that you can fall asleep fast. When you wake up, you’ll feel refreshed and able to tackle another day. Your American Spa offers convenient, simple, and healthy ways to deal with the anxiety that life often presents. Improving emotional wellness is achieved over time by acting day after day in positive, intentional ways that enable you to care of your body and mind and feel good about yourself. The warm water and massaging jets relax your body, while the lights, music, and water features help dissolve worries. If you use your spa every day, you’ll find it can be one way to deal with anxiety so that life can feel much more manageable and satisfying.